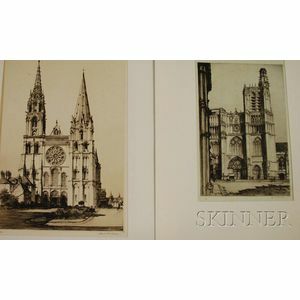 Lot of Two Cathedral Views: Cathedral de Sens (Chamberlain & Kingsland, 93) and Chartres Cathedral (Chamberlain & Kingsland, 104). Sens numbered and signed "1/100...Samuel Chamberlain" in pencil l.l. and l.r. 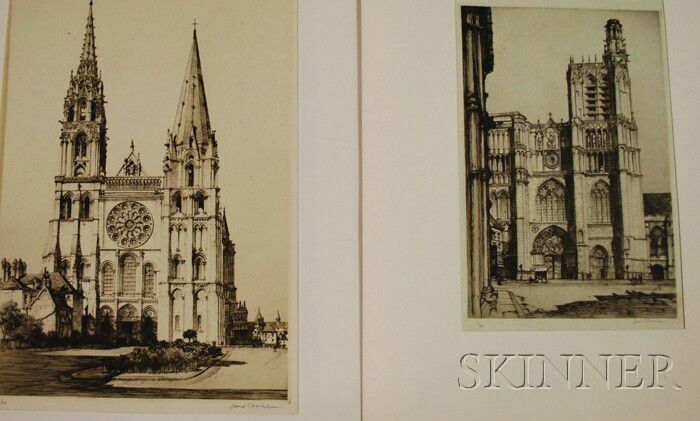 respectively; Chartres numbered and signed "94/100...Samuel Chamberlain" in pencil l.l. and l.r. respectively. Etchings on paper, sheet sizes to 16 5/8 x 11 3/8 in. ; both unframed.